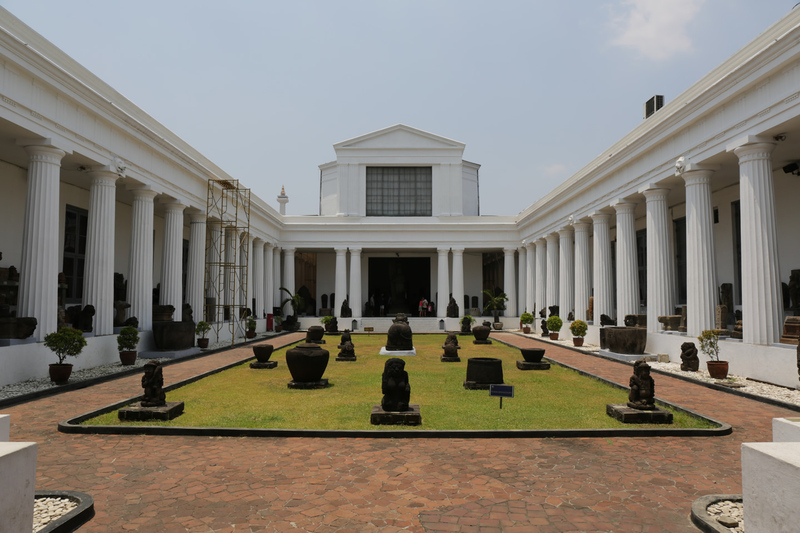 CAUSINDY 2014 ran from the 14th to the 17th of September 2014 in Jakarta, Indonesia. 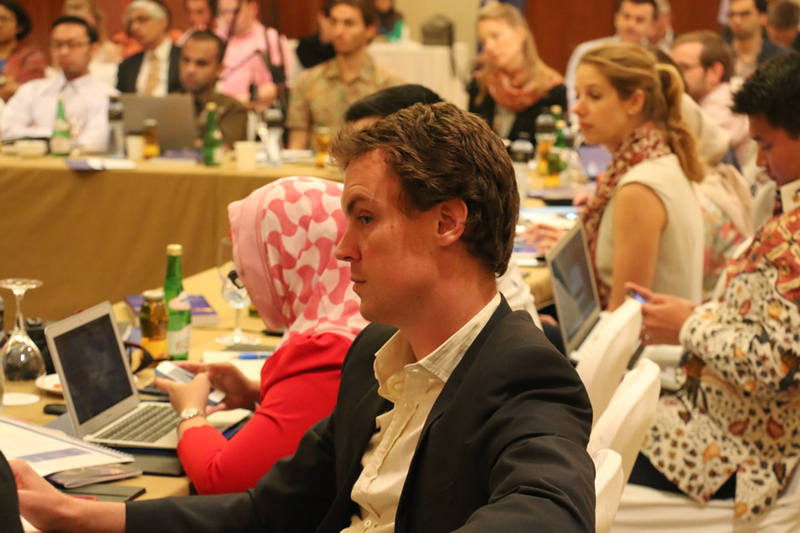 In its second year, the conference welcomed on new sponsors, speakers and exciting new group of delegates from both countries, who brought experience in fields from biochemistry and international development to defence, law and public policy. To see photos, commentary and observations from the delegates themselves, check out #causindy or read our live blogs from days one, two, three and four. The first day of CAUSINDY started off on the morning of Sunday, September 17. 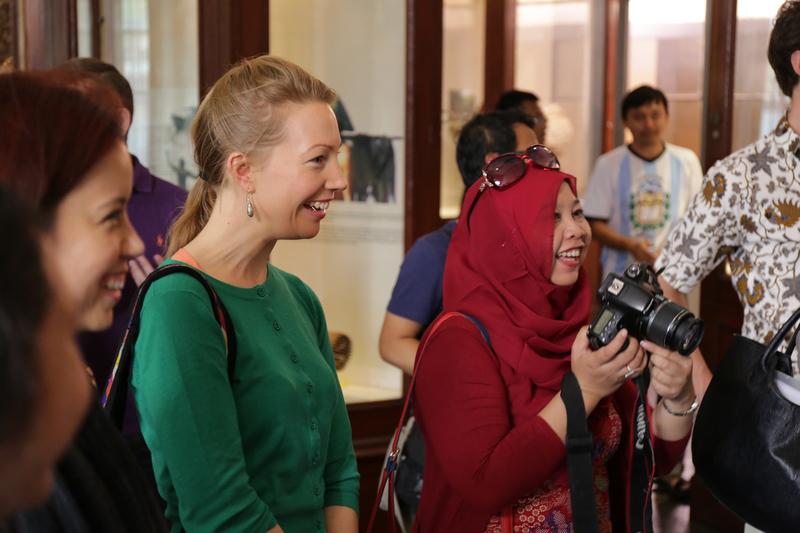 Delegates arrived at the Mandarin Oriental Hotel and headed off on a tour of Jakarta — the first stop was the Museum Nasional Indonesia, where delegates took part in a guided tour hosted by the Indonesian Heritage Society. 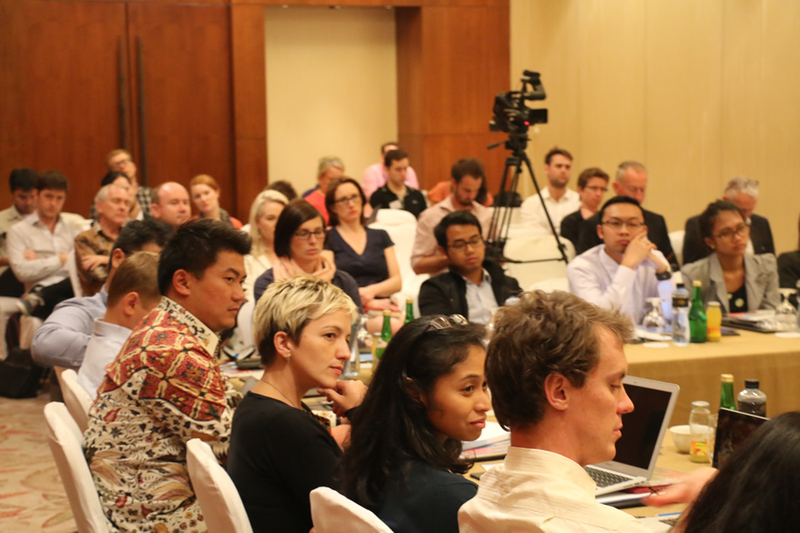 After a quick lunch and some time to refresh at the hotel, it was time for the first panel of the conference on Portrayals in the Media — a look at how media coverage shapes public opinion on the Australia-Indonesia relationship. For the first time, we were excited to welcome members of the general public to attend the panel, which included Fairfax Media's Michael Bachelard, Citra Dyah Prastuti, Editor of PortalKBR.com, ANU lecturer Dr Ross Tapsell and Tempo's Purwani Diyah Prabandari in a discussion moderated by SCTV's Beverley Guanawan. The discussion covered everything from media ownership and election coverage, to the Australian government's decision to close the Australia Network. 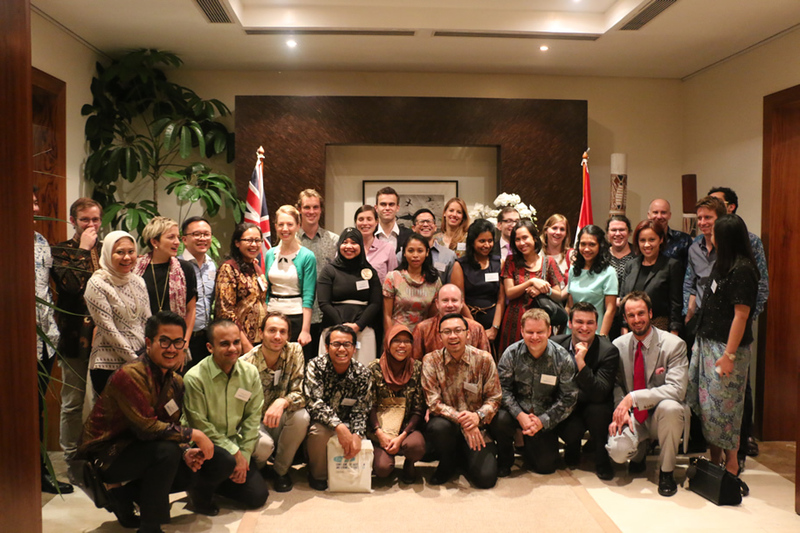 It wasn't long before the panel was wrapping up, and delegates joined the Australian Ambassador to Indonesia, Greg Moriarty, for dinner at his residence. 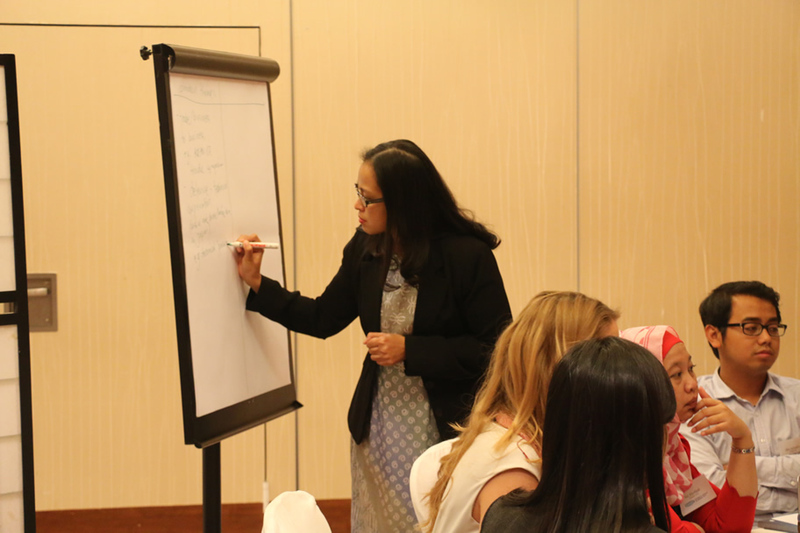 Day two of the conference opened with a presentation from UTS:INSEARCH, who facilitated delegate discussion groups throughout the conference aimed at developing ideas and proposals to improve the bilateral relationship. 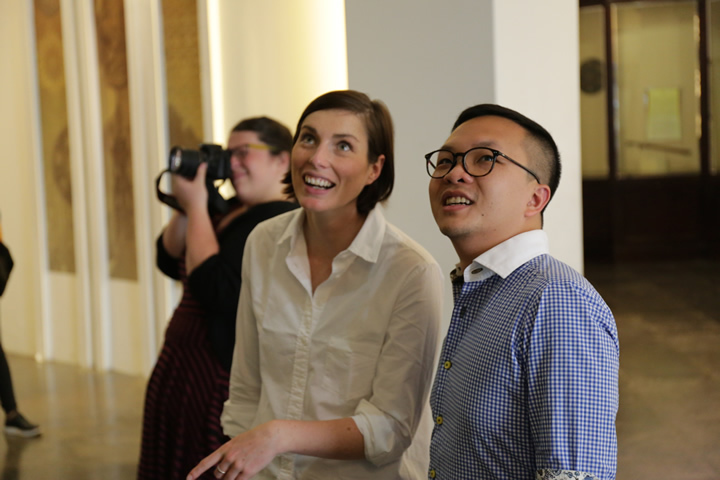 UTS' Alex Murphy joined AIYA's national president Arjuna Dibley to help delegates plan out their proposals, which were presented on the last day of the conference. After a quick break, it was time to begin the day's first panel discussion — an election debrief with Yose Rizal, Doug Ramage and Devianti Faridz. The morning's discussion began with a look at the election process itself, which panellists (and delegates) thought was carried out in an impressively peaceful, orderly, "predictable" manner. 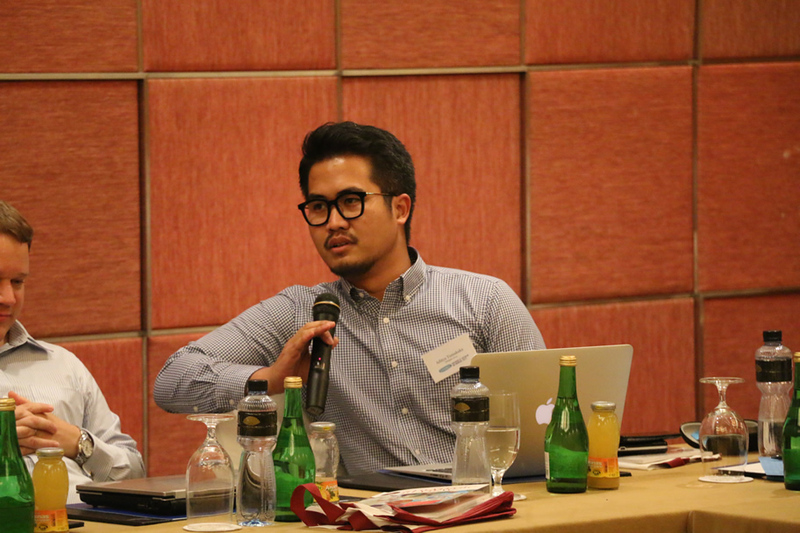 Soon after, the conversation moved onto the presidential campaigns, including the rival candidates' use of social media, "black campaigns" and the political landscape facing Jokowi after his inauguration in October. 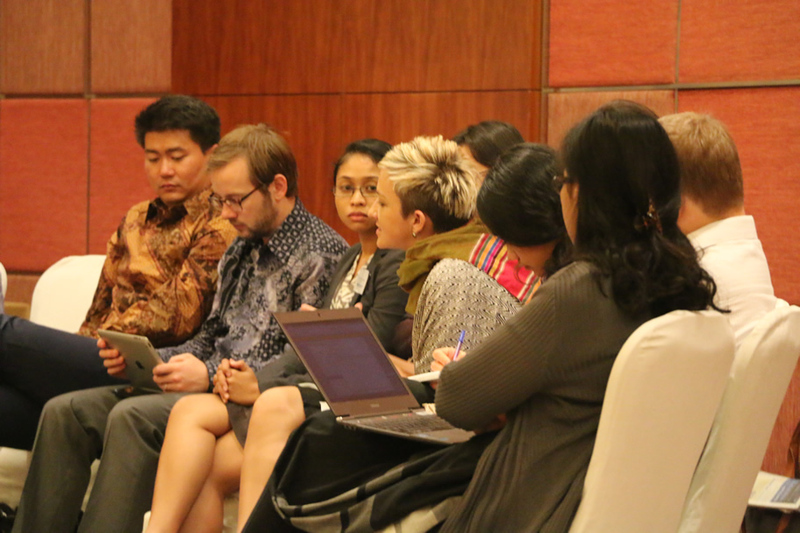 After delegates broke for lunch, they spent more time developing their recommendations until the day's final panel, Transforming the Relationship, with the Conversation's Indonesia editor Prodita Sabarini, former Northern Territory Chief Minister Terry Mills and moderator Helen Brown. 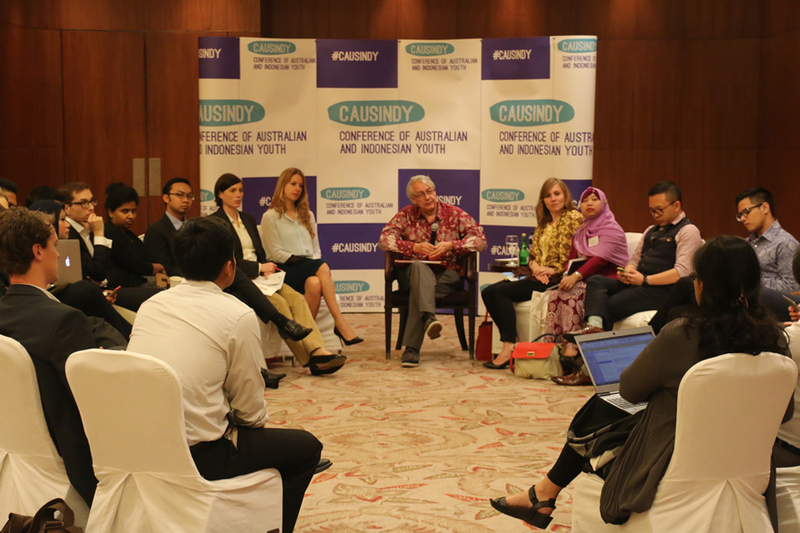 Day three at CAUSINDY 2014 opened with Enduring Themes of Engagement, a special event led by Colin McDonald, a retired Australian barrister, art collector and founding member of the Australia-Indonesia Institute. 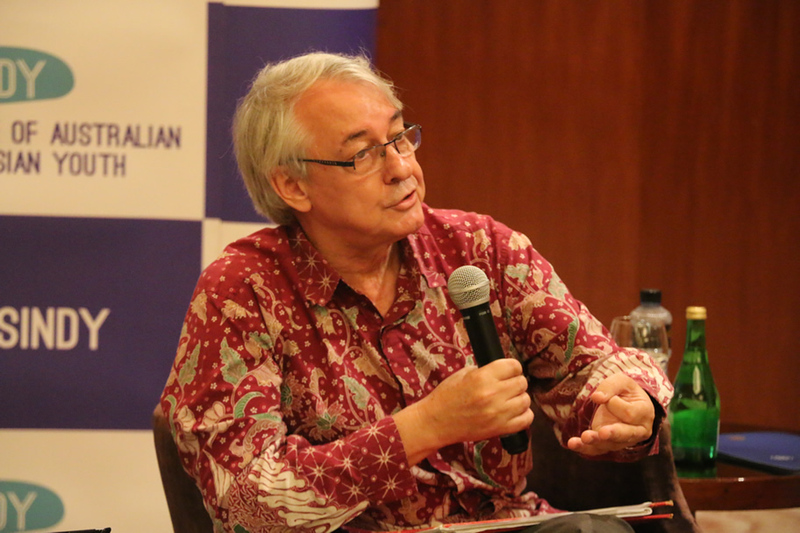 In a wide-ranging discussion with delegates, Colin spoke about the beginnings of 'real' Australian engagement with Indonesia and the value of cultural exchange. Then, it was time for this year's panel on economics and trade with Standard Chartered chief economist Fauzi Ichsan, Indonesia Infrastructure Guarantee Fund CEO Sinthya Roesly, Chris Barnes, managing director of ICON Indonesia and moderator Tommy Tjokro. Next up, Behind Closed Doors saw RMIT University Vice-President Andrew McIntyre interview Dr Hartarto Sastrosunarto AO, the longest-serving minister under the New Order and one of the first Indonesians to study in Australia under the Colombo Plan. That evening, it was time for one of the conference's most exciting events: "John vs. John" a business debate and networking event hosted by the Government of Victoria. 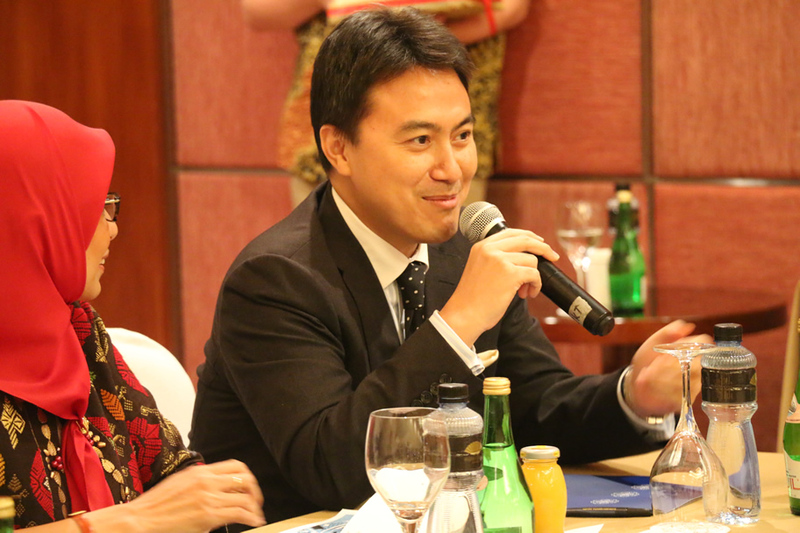 Hosted 45 floors above Jakarta at Salt Bar and Grill, the event brought together business leaders from both countries: John Riady, a director of Lippo Group and Berita Satu Media Holdings, and John Denton, partner and CEO at Corrs Chambers Westgarth. The final day of CAUSINDY 2014 came around all too soon! Thursday morning saw the final panel discussion of the year on defence and security, hosted by the Australian Strategic Policy Institute's Natalie Sambhi, with Lieutenant General (Ret.) 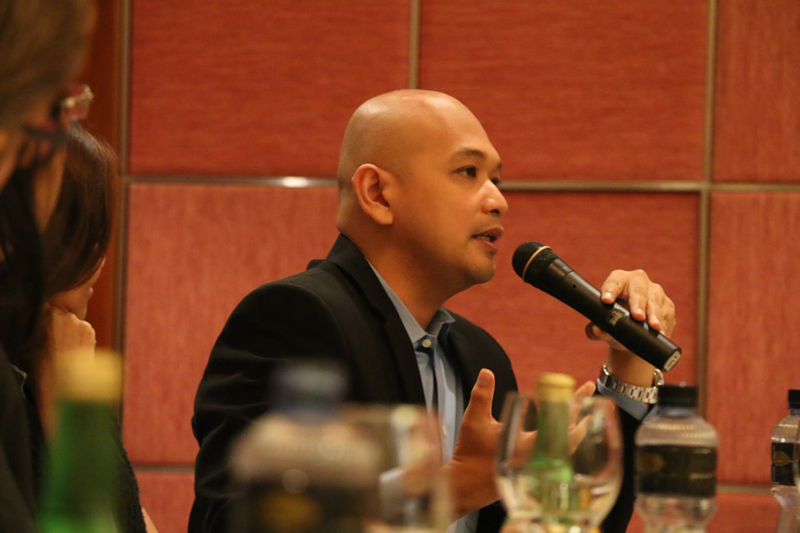 Agus Widjojo, KPMG's Gary Hogan and Jim Della-Giacoma. 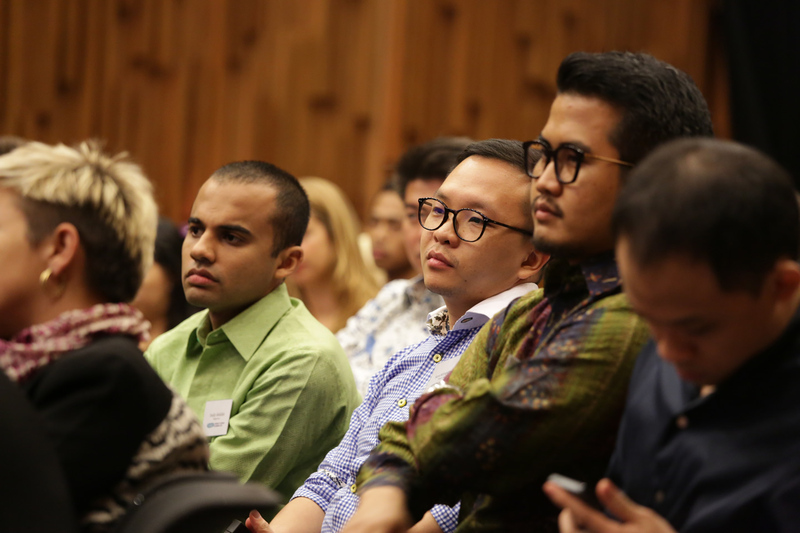 Then, after four days of hard work, it was time for the three delegate groups — Kosciusko, Rinjani and Merapi — to present their recommendations to the panel: UTS' Alex Murphy, AIYA's Arjuna Dibley and ____ from Austrade. We'll have more on the delegate's recommendations when the conference team releases this year's delegate recommendations report. 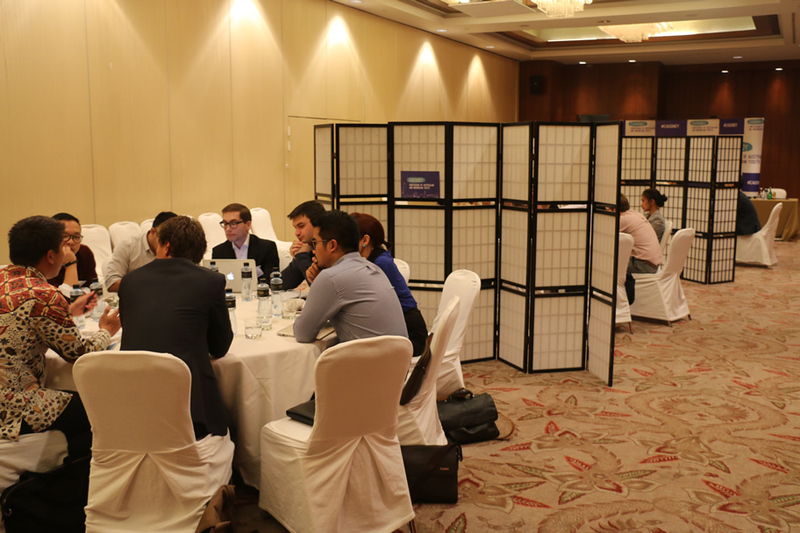 The final event of CAUSINDY 2014 was the gala dinner, which saw team members, delegates and sponsors come together for a final dinner at the Mandarin Oriental Hotel, with a keynote speech by Astra International CFO Simon Collier Dixon.